A Sikh wanting to become a Singh, finds no difficulty in accomplishing his proselytism. 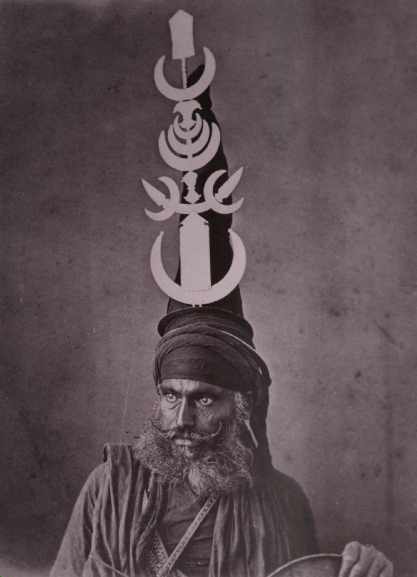 He goes to the Akali, or priests of the sect, at Amritsar, who ask him if he wishes to become a convert to their persuasion, and if so, to produce proofs of his determination ; upon which the convert breaks with his own hands, the small thread, or cord, worn across the shoulders by most of the Hindoo sects, and after the performance of certain ceremonies, he is given to drink a sherbet made of sugar and water, from the hand of an Akali. After this initiation, he never shaves his beard, nor cuts his hair, and ought not, according to a rigorous observance of the doctrines, to pair his nails, but that is dispensed with, though contrary to the rules of the lawgiver. 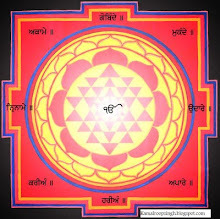 Now become a Singh, Ire is heterodox, and distinct from the Hindoos, by whom he is considered as an apostate. He is not restricted in his diet, but is allowed, by tlie tenets of his new religion, to devour whatever food his appetite may prompt, excepting beef. 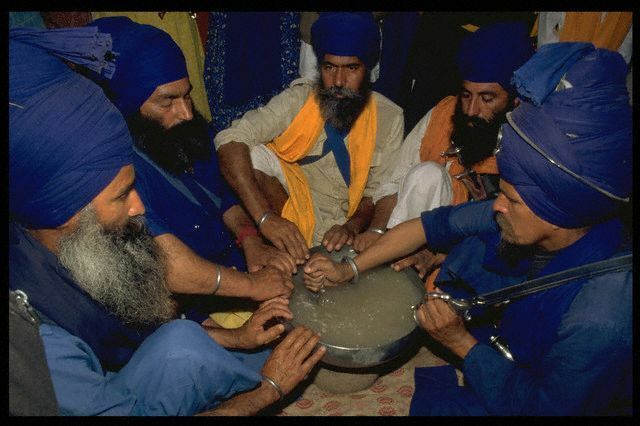 He is allowed also to drink every kind of liquor, such as the Singhs. The Sikhs are those, who (if originally Hindoos,) together with the peculiar tenets and observances prescribed to the sect by its founder, Nanak, retain firmly the institutions of their faith, in strict conformity to the doctrines of Brahma. No they aren't.White people don't know anything. many Europeans were unobservant 'observers' and wrote many incorrect things to explain to their superiors/peers the day to day lives of foreign peoples. They weren't bothered to check out the facts. This is another insistence.